Blanched Almonds are sweet almonds that have had their outer skin removed. The almonds are scalded in hot water, washed with cold water and then put through rollers that remove the thin skin. Almonds are usually blanched before they are made into slivers and flakes, and before being used in recipes. They can be bought in stores for slightly more than regular almonds or made at home. Choosing: Shelled almonds that are stored in an hermetically sealed container will last longer than those that are sold in bulk bins since they are less exposed to heat, air and humidity. If purchasing almonds in bulk bins, make sure that the store has a quick turnover of inventory and that the bulk containers are sealed well in order to ensure maximum freshness. Look for almonds that are uniform in color and not limp or shriveled. In addition, smell the almonds. They should smell sweet and nutty; if their odor is sharp or bitter, they are rancid. 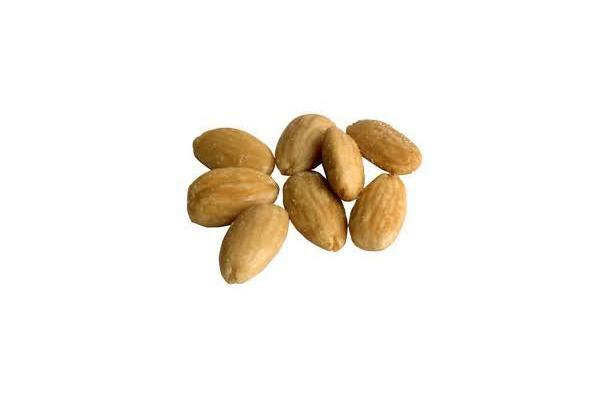 Buying: You can buy Blanched Almonds on your local supermarkets or grocery store. History: Almonds are an ancient food that have been written about in historical texts, including the Bible. Almonds were thought to have originated in regions in western Asia and North Africa. The Romans referred to almonds as the "Greek nut" in reference to the civilization suggested to have first cultivated them.